When we were in RMNP a couple of weeks ago, hiking and camping, we went on a bit of a hike up the Fern Lake trail. Along the way I saw a lot of berries. There were three kinds, red, pink and blue. 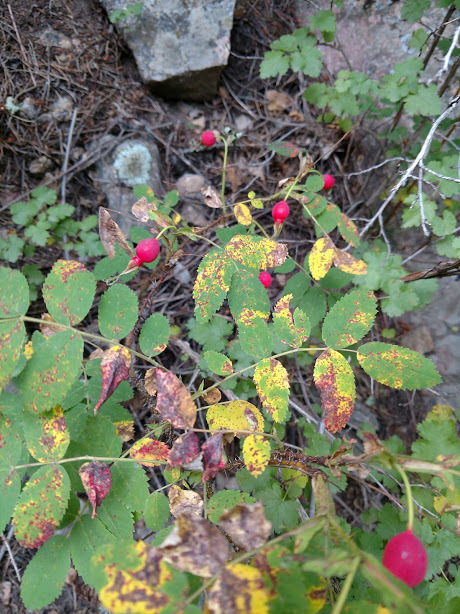 My wife told me the pink ones were rose hips. 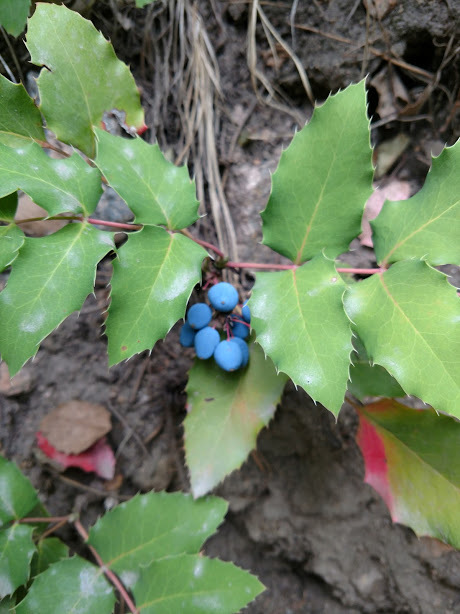 Later she said the blue ones were huckleberries. I don’t know what the red ones are. 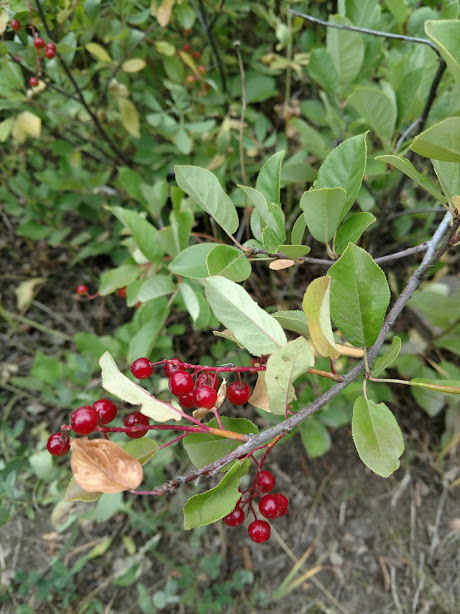 We didn’t see any bears eating the berries, but it looked like a good crop that would attract that kind of attention. Another notable plant-life thing we saw on that trip was at the Devil’s Backbone down near Loveland. It is a more arid, open area there. 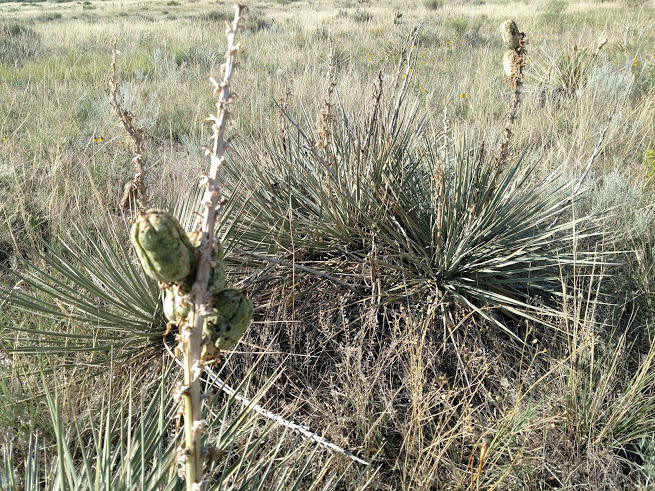 And I saw these pod things on the yucca plants. Google tells me they are seed pods. Uncle Ron makes huckleberry jam, as you probably know.